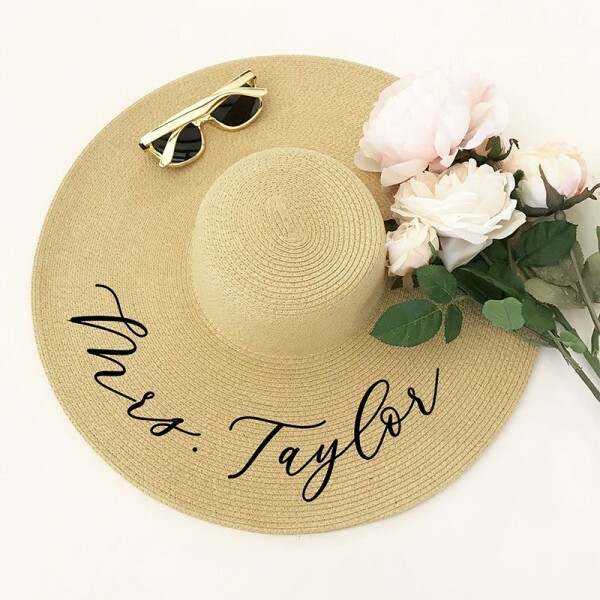 Surprise your bridesmaid or maid of honor with our personalized sun hats. 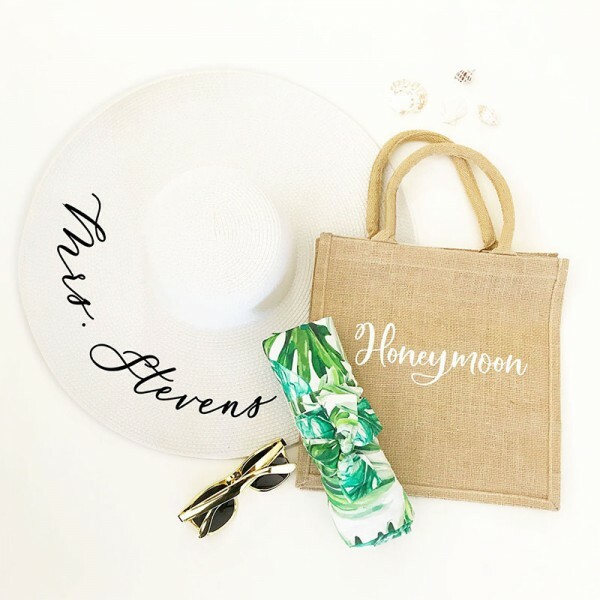 Enjoy your summer wedding with this cool gift! 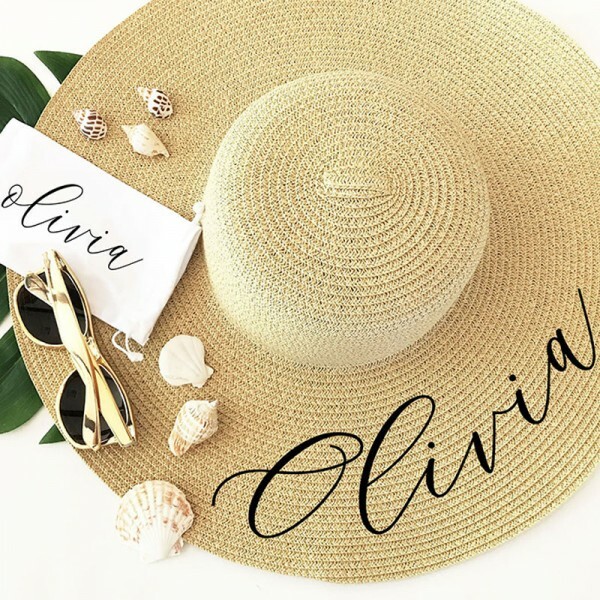 Each hat is available in white or tan with the engraving which you need. Materials: Hat Size: One size fits most, Crown: 3.5"", Brim: 6"". The text is printed in a beautiful black high-grade vinyl. Big bongrace is great for the summer wedding! 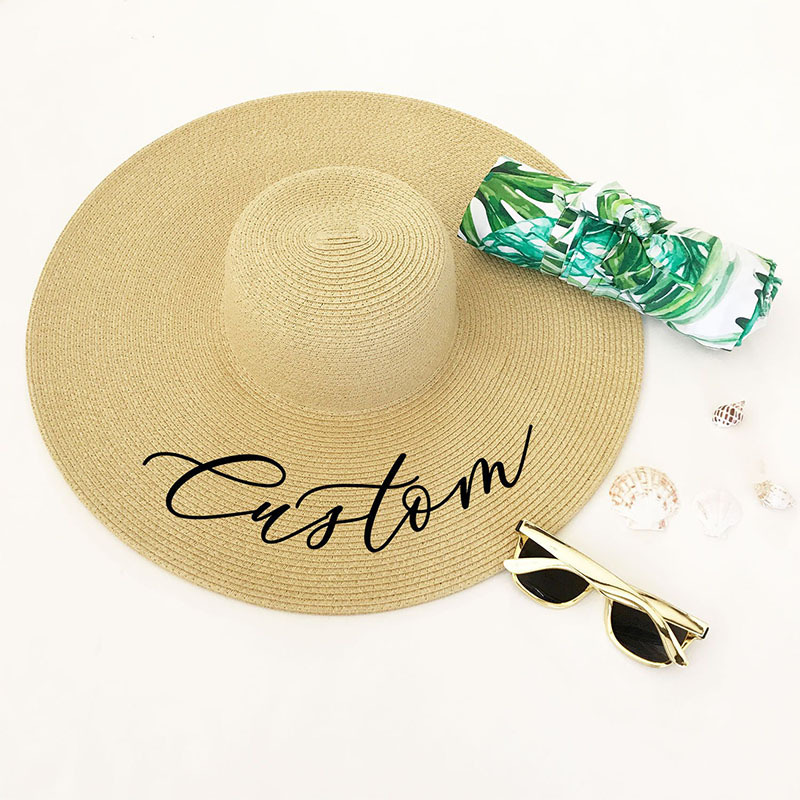 Definitely a must have beach hat! I bought this hat for our honeymoon. I got so many compliments on it. I did the black lettering which had a beautiful shimmer to it. It was great to wear while reading on the beach. 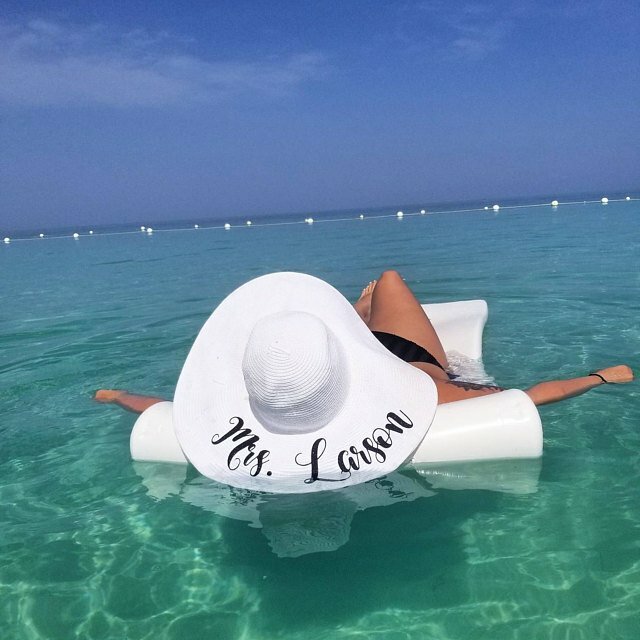 Definitely a must have beach hat! Absolutely LOVE how this hat turned out!! 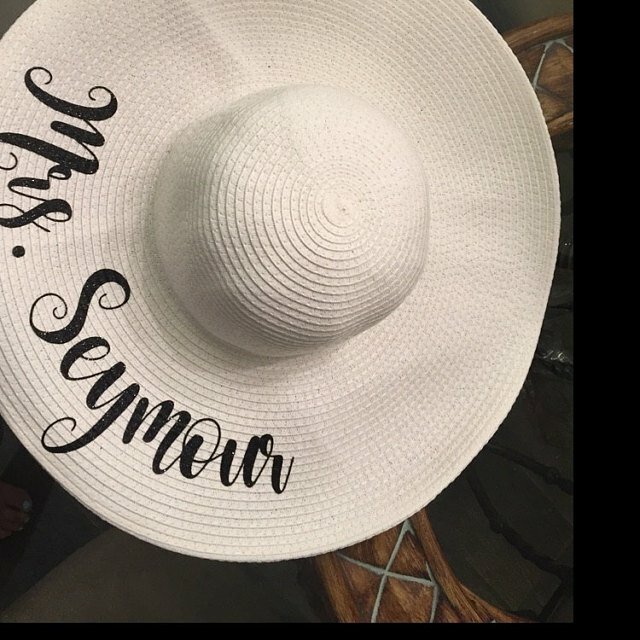 Absolutely LOVE how this hat turned out!! It’s even better than I expected...the glitter writing is so pretty and the hat is great quality. 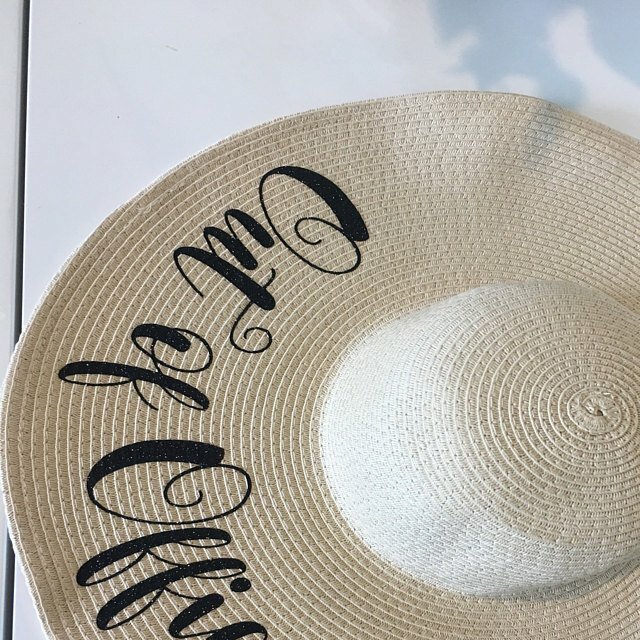 It made a perfect gift for the bride for her bachelorette party! It’s perfect and exactly like the picture. It’s perfect and exactly like the picture. It was shipped very thoughtfully as well! Better than I could have expected! I can’t wait to give this as a bridal shower gift! The bride to be is going to love it!! Amazing quality and arrived quickly - perfect! Five star experience all around. Great product, great seller. The hat was exactly what I expected if not better than I’d hoped. Far better quality than some similar listings. The seller was awesome-very flexible and communicative. 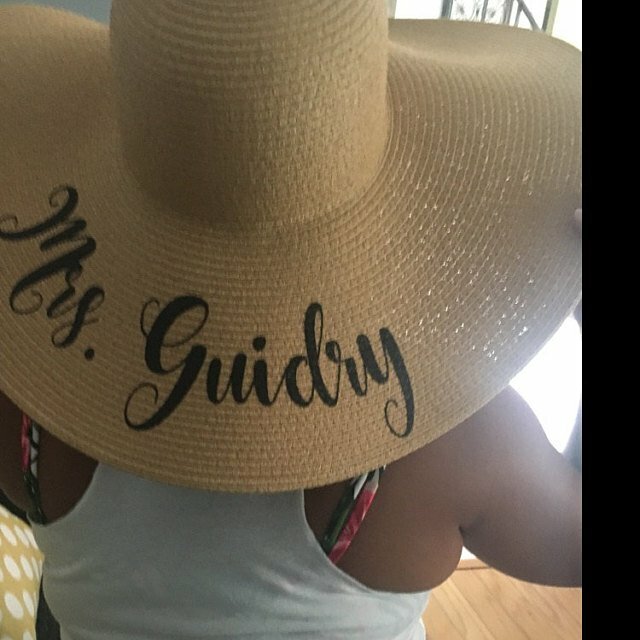 She was willing to customize my order after I’d ordered a hat with different script. She also worked with me on shipping location as I was juggling travel dates despite being in the middle of a move herself. Fantastic experience, would absolutely order again! The quality of this hat is amazing ! This hat is sooo cute! This hat is sooo cute! 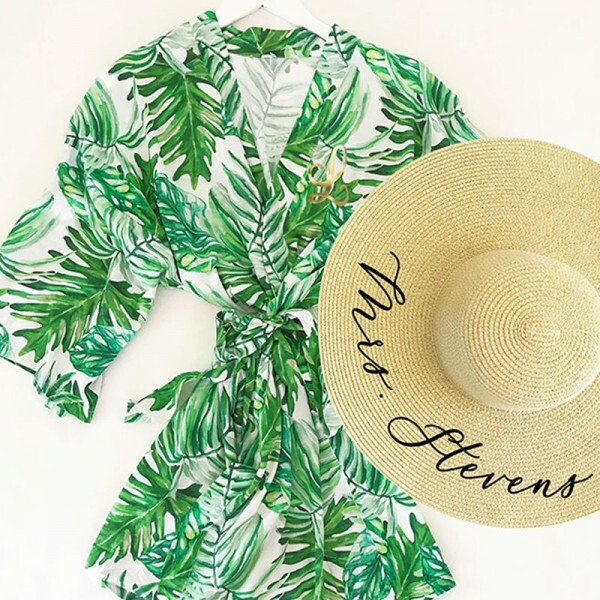 Can’t wait to wear it on my honeymoon! We absolutely LOVED our hats!!! We absolutely LOVED our hats!!! They turned out better than expected! The letters had some sparkle to them. Customer service was such a blessing! 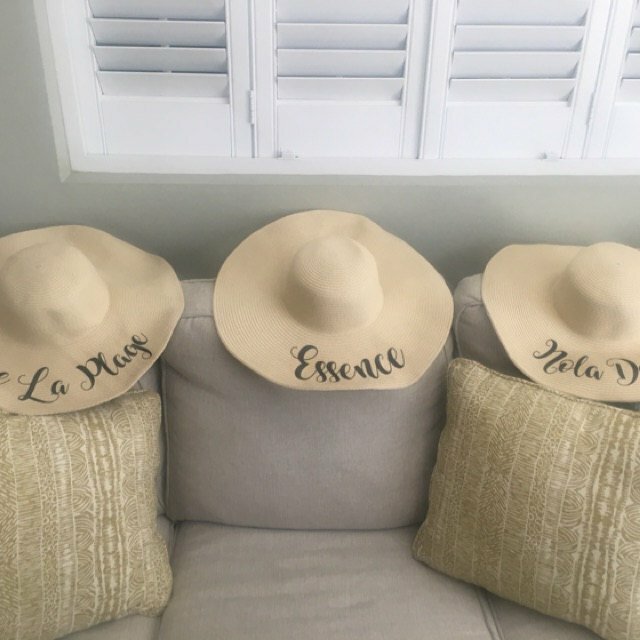 I entered panic mode a couple times, but she was very quick to respond to my messages and also made sure that our hats arrived in time for our girls’ trip. I highly recommend Personalizedcart! This has been one of the best online shopping experiences of my life. Not only was my order fulfilled and shipped the SAME day I ordered it, the quality of was amazing as well. I was shocked to see my package on my door stop from literally across the country so fast! Fast shopping and great quality! Extremely fast shopping and great quality. Will be ordering again! 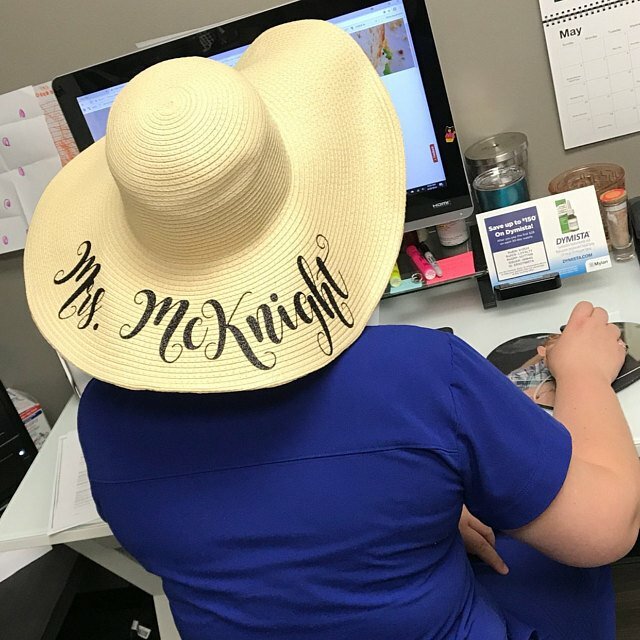 Spoke with Tracey about getting a white hat that appeared to be out of stock and she pulled one out for me and sent it my way in a week! 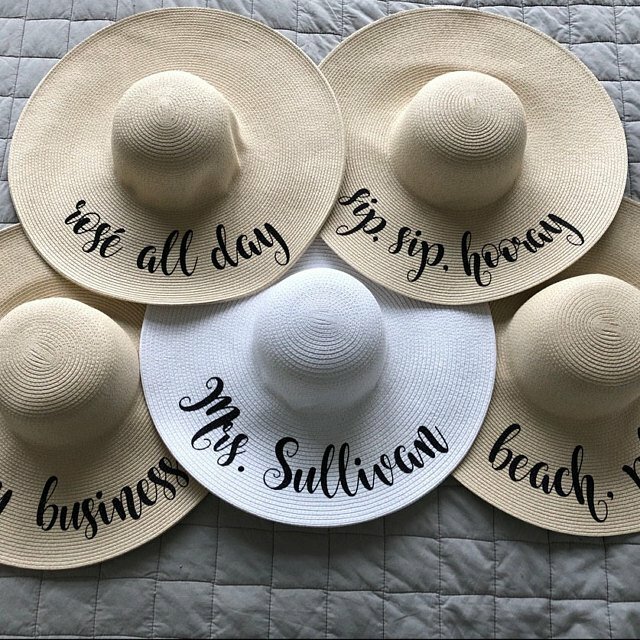 Great customer service and the cutest hats for your honeymoon vacation!! 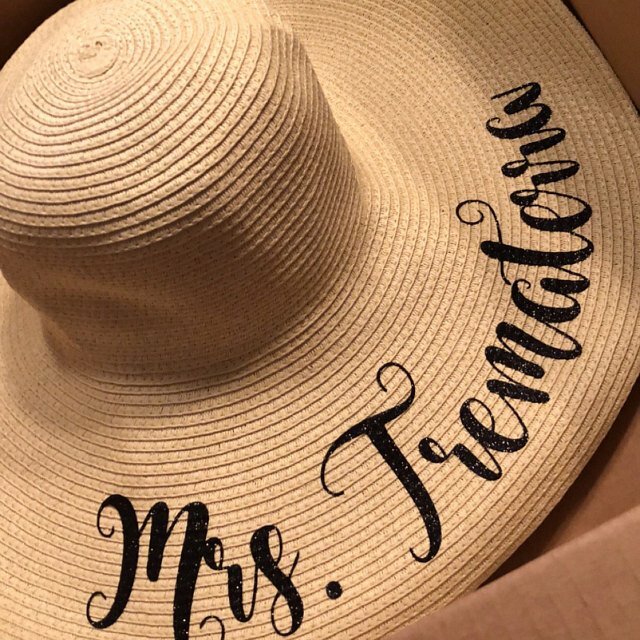 Question about Personalized Bridesmaid Sun Hats is Successfully Submitted.